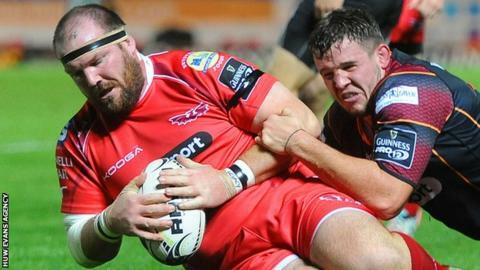 Veteran Scarlets prop Phil John makes his final home appearance for them off the bench against Glasgow in the Pro12. Between the region and their club predecessors Llanelli, John, 34, has made 329 appearances. He joined Llanelli in 1999 and graduated to the regional team when it was formed in 2003. John was part of the Scarlets squad that won the Celtic League in 2004 and has been thanked by Scarlets in a statement.